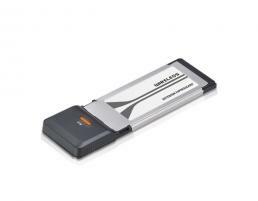 With the Penguin Wireless N Notebook ExpressCard for GNU / Linux, connecting to the Internet is easy. Just plug it in, turn on your computer, select your access point, and surf. Genuinely Penguin friendly with all recent Linux kernels supported out of the box.